That’s more or less exactly what I think, too: the Parselmouth/Gaunt connection. A very interesting theory. It explains why Nagini has only a few lines. In scène 42 it says two times that Credence “whispers” to Nagini. That could either mean that he doesn’t want Skender to hear it, or…that he is speaking in parseltongue. Or both. When in scene 43 Nagini strikes at Skender and “utters a cry in parseltongue” it could mean not a threat to Skender, but a sign to Credence: “Act now!” She has however not lost her ability to speak totally yet: in scene 56 she speaks to Irma: “C’ est votre fils, madame”. These are interesting theories. It could very well be that Credence speaks in parseltongue and we just don’t know, just as Harry spoke to “Bathilda” without us knowing – or even he realizing I think – that it was parseltongue. They are explanations to link Credence to so many different families. I’m not sure which one I lean towards at this point. I’ll bet Rowling loves knowing what all the fan theories are. She sets up the stories so that they could lend themselves to several explanations and watches us speculate. Haha! This makes so much more sense than Creedence as a Dumbledore. I think Grindelwald is preying on both Credence’s and Queenie’s need to be loved and accepted. I’m not sure why Credence’s mother would have panicked over his being a squib when he was only a baby. While there are indications that some magical folk show their talents as infants – Tonks and her baby come to mind – others appear to develop them slowly. Neville was not at all confident that he had any magical ability until shortly before entering Hogwarts at the age of eleven. Apparently, Harry could ride a broomstick as a toddler, but his other magical abilities only became noticeable a year or two before he went to Hogwarts. Not even a pureblood zealot would expect a mere infant to be able to work much magic, would he? I don’t think Credence is going to be killed in the third movie. 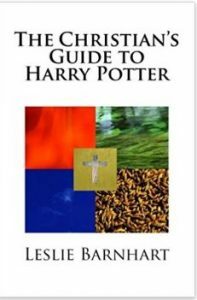 Have you read Mr. Granger’s books about the alchemical cycle in Harry Potter? At the end of each book, Harry appears to die and be reborn. With Fantastic Beasts number 1, who died and then apparently returned to life, with one of his black fragments slithering up off the screen? Credence. In Crimes of Grindelwald, while there is no physical death for Credence, he voluntarily surrenders the life he knows and is rewarded with a new name, which has traditionally been a symbol of new life, of being reborn from death. 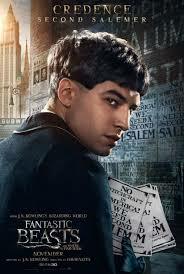 Following this clue leads to the conclusion that Credence is the “Harry Potter” of this series, the one who will, eventually, in the last movie, surrender his life so that others he loves may live. I suspect that the other he loves, by that time, will be Albus Dumbledore, but who knows? As for whether or not the new name is right or wrong, a lie or the truth, it could be either. Why should he not be a Dumbledore? You don’t really think there is any prison that could hold a Dumbledore, do you? If Albus can escape from Hogwarts by way of phoenix disapparation, his father probably could use the same technique to get out of Azkaban. However, as Grindelwald is not a notable truth-teller, he could indeed be lying and setting Credence up for a sibling rivalry based on misinformation. I look forward to finding out! 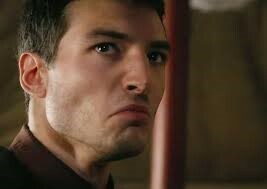 Just a thought on the fly: Could the hushed but powerful voice in which Credence says, “Nagini,” be an indicator, not that he’s speaking Parseltongue, but that he’s speaking a spell? J. K. Rowling has tweeted that the Naga are mythological creatures that can turn into snakes, eventually staying that way. Is it possible that they turn into snakes when a person with magical power speaks the right spell, i.e., “Nagini”? This would, of course, eliminate any tentative connection between the Nagini of Crimes of Grindelwald and the Nagini of Harry Potter; they are simply both women bearing the same curse and responsive to the same spell. It would be like Voldemort to use as a name the spell by which he bends his pet to his will, would it not? I too came to the same conclusion. Marvolo was a wicked man who abused his daughter mentally and physically. It never mentions his wife or what her name is. Maybe she knew she was pregnant again and fled. How though did she find her way to Mary Lou? Mary Lou states that Credence’s mother was a wicked an unnatural woman. Could she have witnessed the unknown Gaunt family member (Marvolo’s wife) doing magic and killed her? Then taken Credence? Maybe that’s why she hates Credence the most? She knows his mother was a witch and therefore suspects he will grow to be the same so she beats him in hopes he won’t ever have magical abilities? I never even paid attention to the fact that Nagini only speaks to him but reading that it makes complete sense! Also, I feel Nagini is Merope, Voldemort’s own mother.. But who knows! Theories are fun but they can be nail biters too! Appreciated this theory though! Has anyone thought about a link between the Gaunt family and Nagini, via the Circus Arcanus? Recall that Morfin Gaunt’s physical appearance was gorilla-like or monkey-like (and he climbed trees), that Marvolo Gaunt had an odd, rolling gate like a simian, and that the face on the statue of their ancestor Salazar Slytherin was monkey-like. Recall too that Mrs. Cole of the London orphanage wondered if the name Marvolo came from a circus. What if Marvolo Gaunt, out of poverty and despite his pride, worked with the half-humans or sub-humans at the Circus Arcanus? 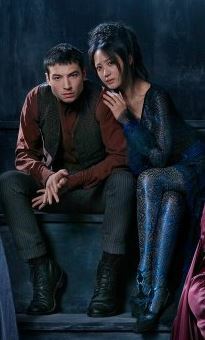 What if he and Nagini had a relationship, becoming the parents of Morfin and Merope? That would make Nagini the grandmother of Tom Riddle, and would motivate her to take whatever care she could of him. Whether he was aware of the relationship or not is an excellent question, with implications either way. Randall, would this theory mean that Merope had the blood curse as a maledictis as well? Kelly, I don’t know whether Merope inherited the blood curse. But if she did, then perhaps her son Tom inherited it also. Then, maybe Voldemort would not need to send Nagini into the Department of Mysteries but could go as a snake himself. And, when Voldemort visited Grindelwald at Nurmengard, maybe Voldemort transformed into a snake to enter Grindelwald’s cell. Thinking further about the Circus Arcanus, note that the word “skender” can refer to a raider and/or a torturer – a very bad man. Could it be that Marvolo Gaunt ran the Circus as “Skender”? Could it also be that Marvolo/Skender raped Nagini, and felt possessive of her, instead of having any relationship with her? Last thought for now: When the brother and sister Amycus and Alecto Carrow were taunting Dumbledore atop the astronomy tower at Hogwarts, Amycus said that “Dumby” always talked and never took action. How did Amycus get this opinion? Did he know Dumbledore? To me, the pejorative nickname “Dumby” suggests “Dumbo,” a character affiliated with a Disney circus. Also connected with that circus were three characters who showed animosity toward Dumbo – three crows. Are the Carrow siblings “crows”? Could they have worked at the Circus Arcanus? Could they have met Dumbledore there?